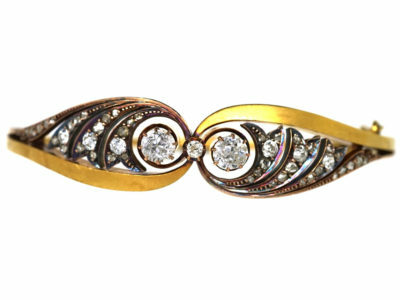 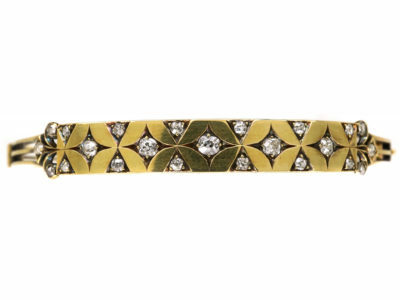 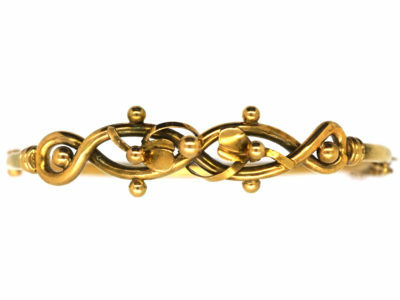 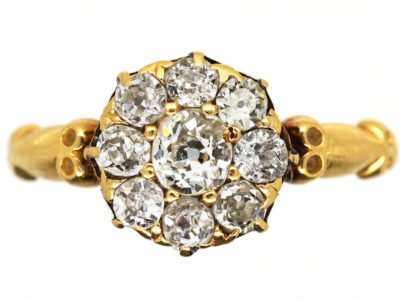 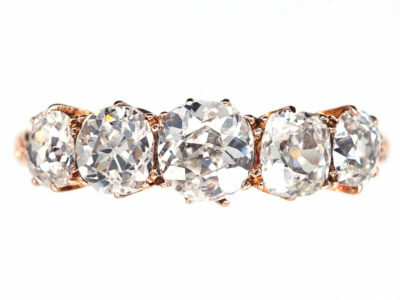 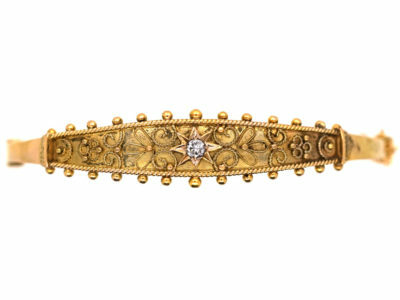 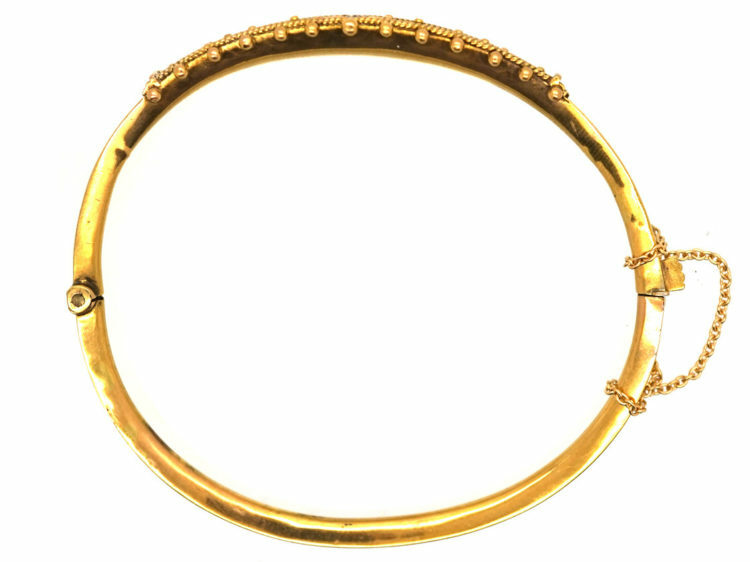 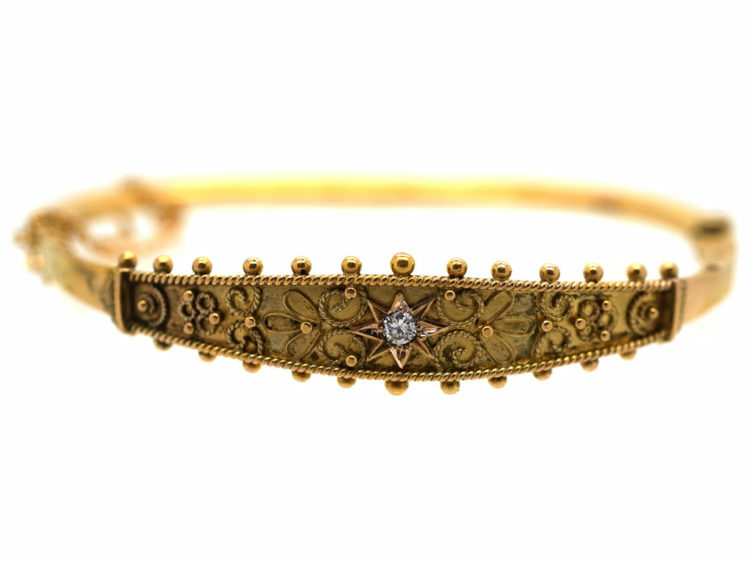 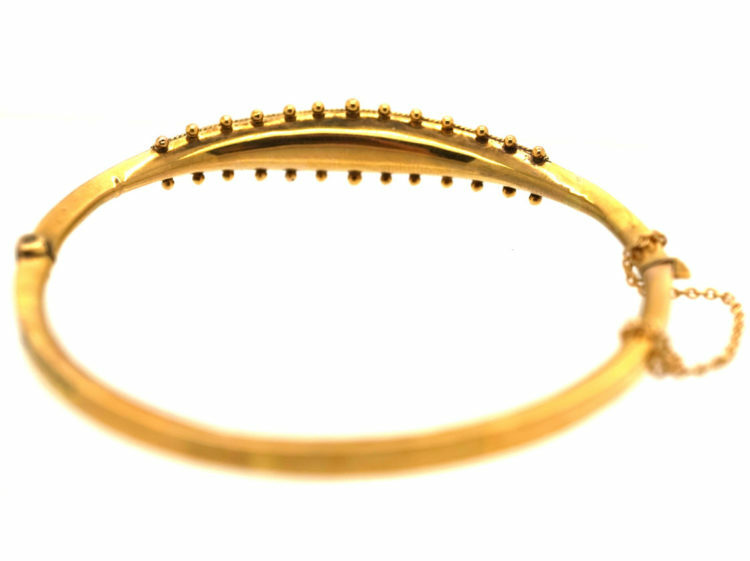 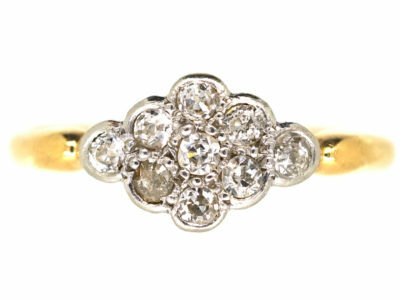 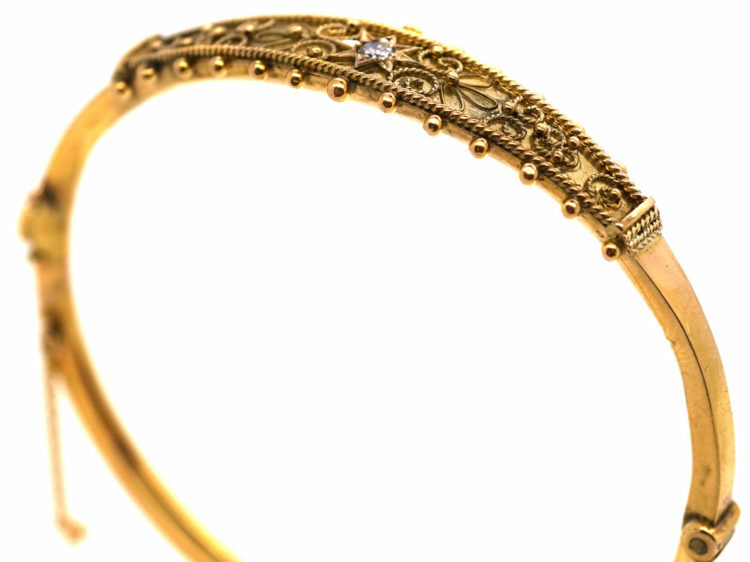 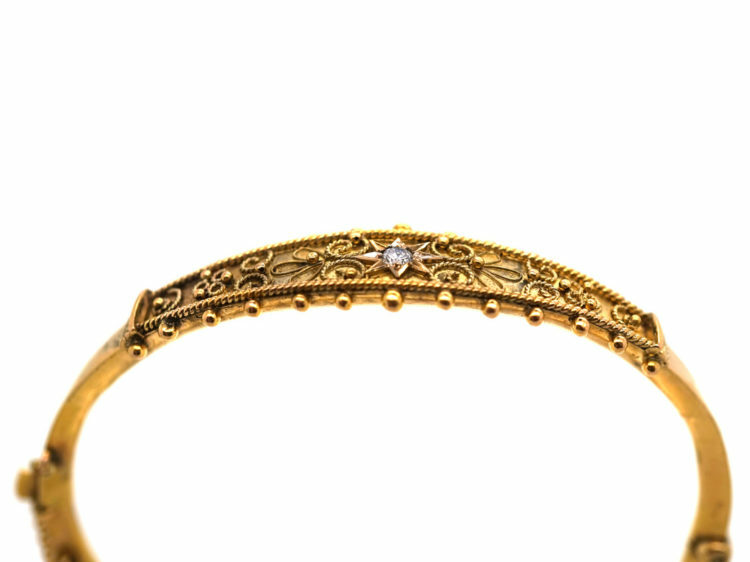 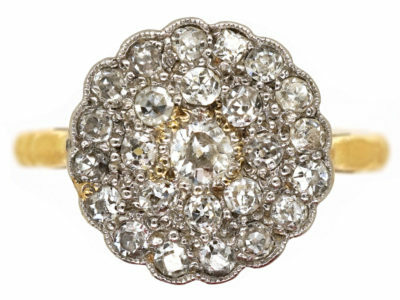 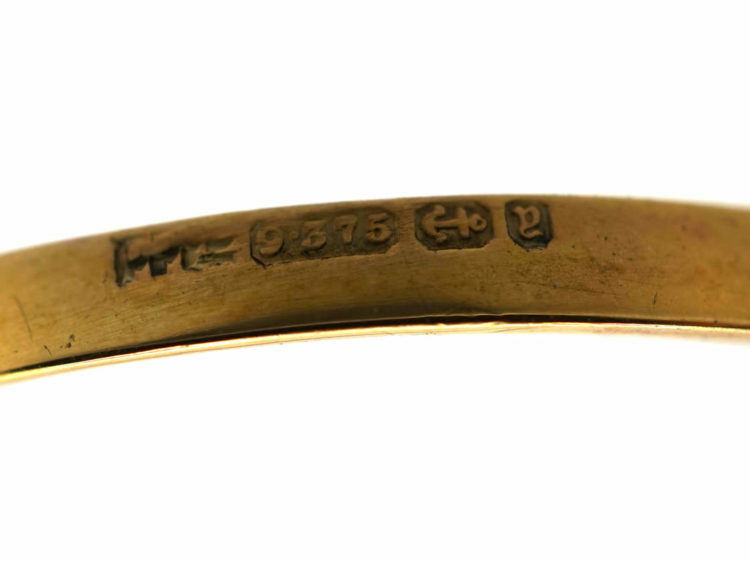 A pretty 9ct gold bangle that was made circa 1900-1910. 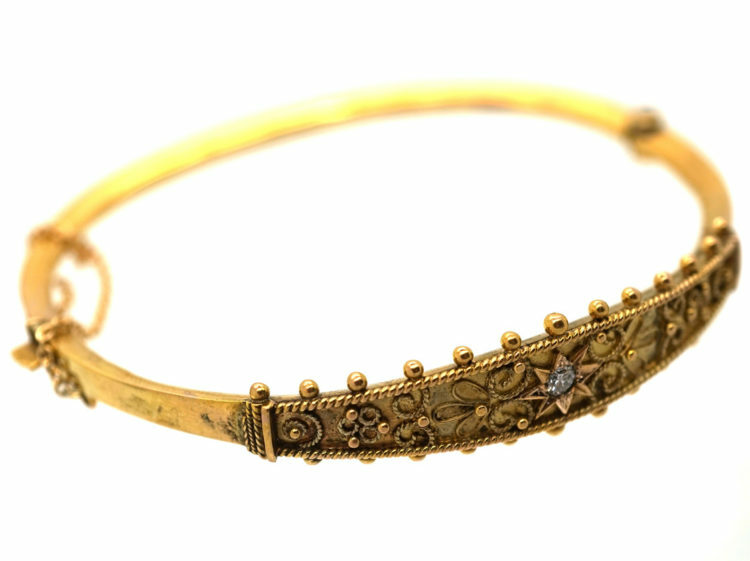 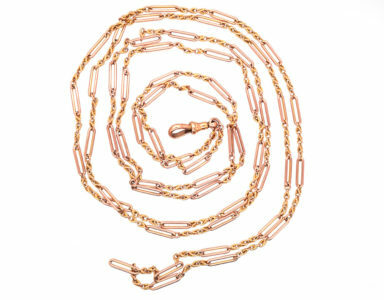 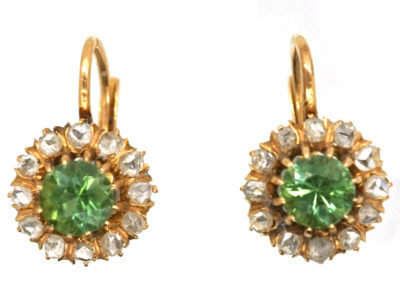 It has hand applied gold wire work decoration that is known as Etruscan work after the ancient Italian craftsmanship. 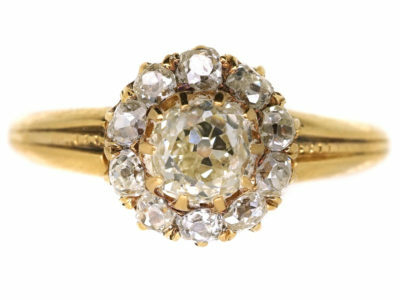 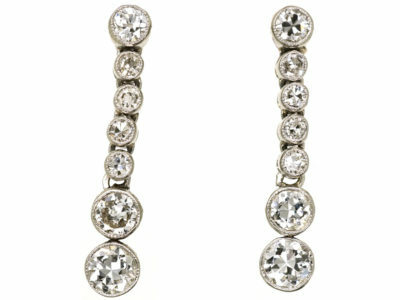 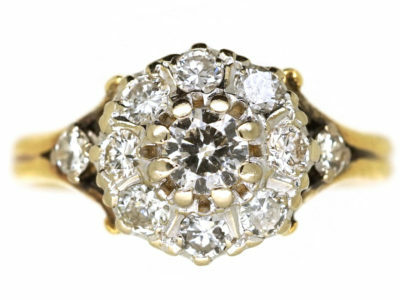 It is set with a diamond in a star shaped setting.